Every year there are teams that hold to the status quo. They do not make a huge splash, but they patiently wait to see if their team can improve from within. Conversely, there are always teams that take a few big gambles. Those teams are fascinating to watch. Will their offseason moves pan out? Is their coach on the hot seat? Can they build on last years’ success or will they falter under the weight of increased expectations? These questions surround the teams that were more active in during the offseason. 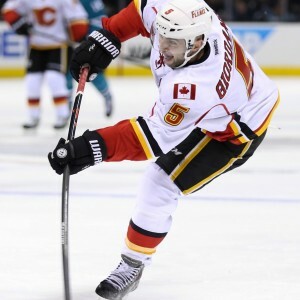 After riding an unsustainable shooting percentage into the second round of the playoffs in 2014-15, the Calgary Flames have become the popular pick to regress in 2015-16. The logic is sound. As Travis Yost has pointed out, a team that performs the way Calgary did last season is bound to fall back down to earth the following year. Calgary simply did not have the underlying possession metrics to support sustained success. But alas, the Flames made offseason moves to improve their possession numbers. The most important of those moves being the addition of defenseman Dougie Hamilton. What makes the addition of Hamilton so crucial to the Flames is the fact that he enables them to have two good defense pairings. Part of the problem for the Flames in 2014-15 was their lack of defense depth. 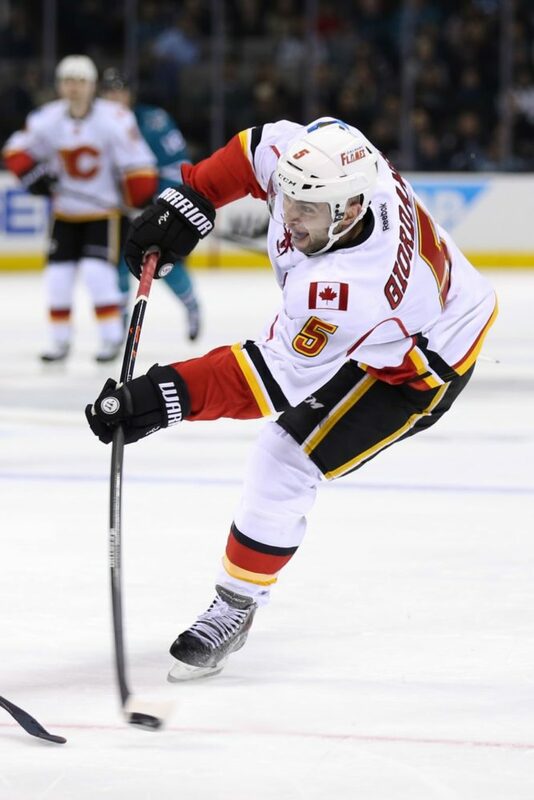 When the pairing of TJ Brodie and Mark Giordano was on the ice, the Flames controlled play. When they were off the ice, it was relatively ugly. With the addition of Hamilton, the Flames can split up their defensemen to even out the burden. This should dramatically improve their puck possession game. Another thing that will make the Flames fascinating to watch will be the progression of their prospects. Players like Sam Bennett, Morgan Klimchuk, and Emilie Poirier could begin to put their stamp on the NHL. If they do, their progress could make up for an inevitable shooting percentage regression. Make no mistake, Sean Monahan, Johnny Gaudreau, and Dougie Hamilton form a great young core, but the Flames will need key contributions from a few more young players if they want to withstand regression in 2015-16. When you take those six players and account for the natural progression of Rasmus Ristolainen, the continued benefit of Zach Bogosian, and the high skill level of Tyler Ennis, you have one exciting team on your hands. 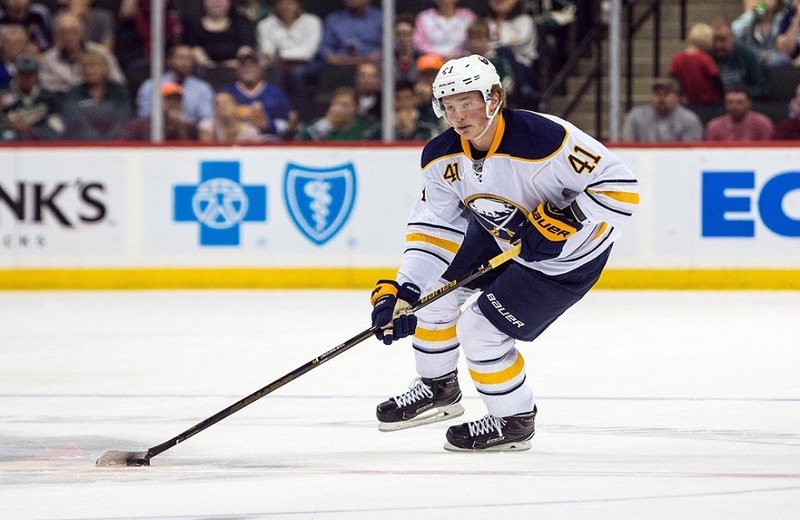 No, they may not make the playoffs in 2015-16, but they will be a young and exciting team. New head coach Dan Bylsma will provide an exciting blueprint and he will have fast, skilled players to pull it off. 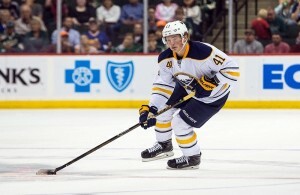 This Sabres team will go through some growing pains, but they will also surprise some people along the way. The Bruins will be exciting to watch, but not for the same reasons as the other teams. They made a slew of questionable decisions this offseason, but they still have an experienced core of good players. So who did the Bruins lose? For starters, they lost both Dougie Hamilton and Milan Lucic over the weekend of the NHL draft. Then they traded Reilly Smith for Jimmy Hayes. Who did they add? Other than Hayes, they also added Zac Rinaldo, Colin Miller, and Matt Beleskey. Overall, it looks like their losses far outweigh their gains. Moreover, it is hard to believe that Zdeno Chara can still be a dominant force playing at 38/39 years old without Johnny Boychuk or Dougie Hamilton. These issues will make the Bruins an exciting organization to keep an eye on this season. Many have chalked up their playoff absence last season to dumb luck. But if they start this season poorly, Claude Julien’s job may be in jeopardy and Don Sweeney may have to answer for some of his whacky decisions. On the other hand, if the Bruins rebound early in the season, they could put themselves right back near the top of the Eastern Conference. Either way, the Bruins are a team to keep an eye on.